The VIP system has been upgraded! We’ve got all new VIP cards, daily benefits, and a VIP leveling system: earn points for using VIP cards and spending gold to increase your level and get better benefits! 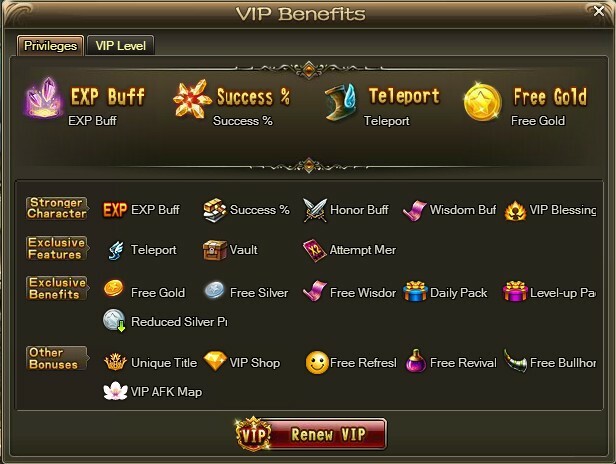 ● 1800 VIP points - if this is the first time you’ve used VIP, it’ll start you at VIP3. ● 300 VIP Points - if this is the first time you’ve used VIP, it’ll start you at VIP2. Purchased via the VIP window or R2 website. ● 70 VIP Points - if this is the first time you’ve used VIP, it’ll start you at VIP1. VIP points will only be earned if you have active VIP. 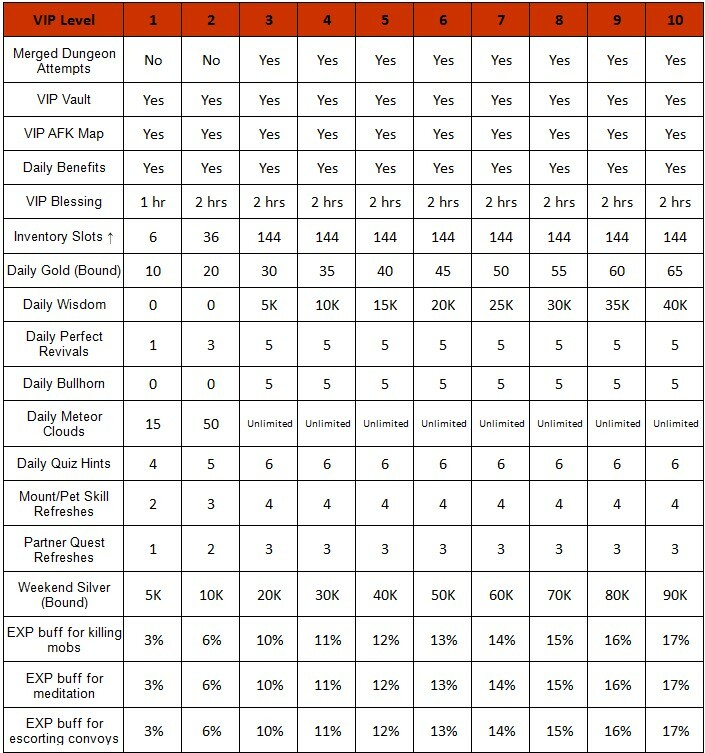 Spend unbound gold or use VIP cards to gain VIP points and upgrade your VIP level. 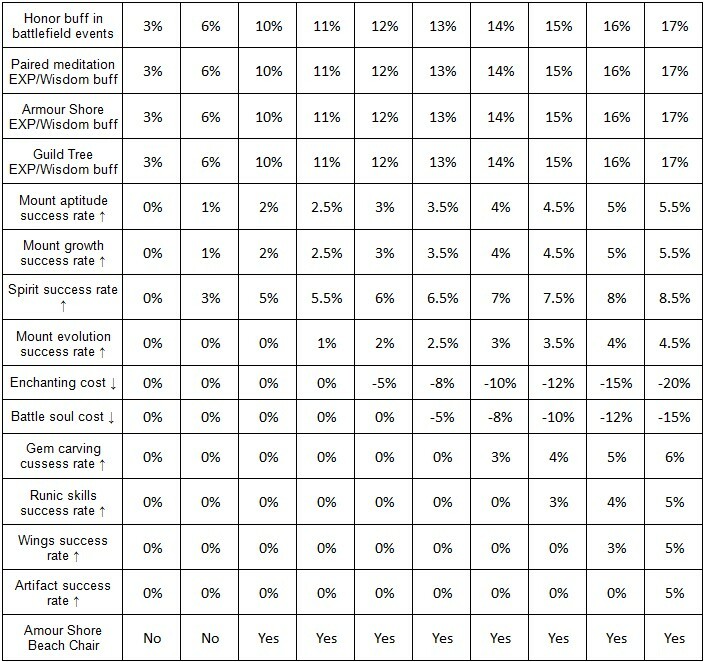 1 VIP Point is earned for every 1 Gold (Unbound) spent. 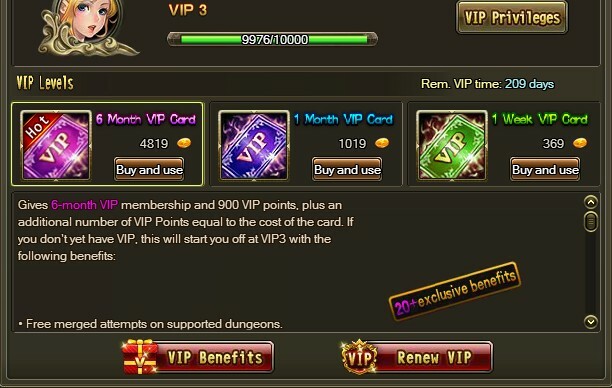 Unbound gold spent purchasing VIP cards also gives VIP Points. If your VIP has expired, your current VIP level will be saved, but you’ll need to purchase and use a VIP card to re-activate your VIP and start earning points again. ● Players that had active VIP from a 15-day VIP Card prior to the February 27th update will automatically be upgraded to VIP2. ● Players that had active VIP from a 1-month VIP Card prior to the February 27th update will automatically be upgraded to VIP3. 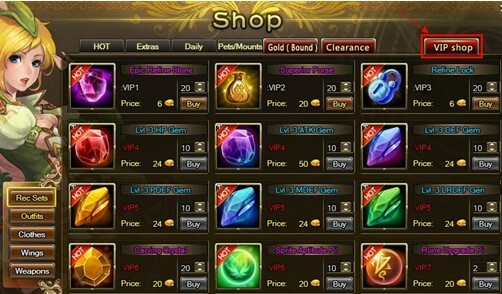 ● An exclusive VIP section has been added to the Shop, where you can spend bound gold on a large selection of valuable items.